Summary: University of Zurich researchers report prosocial behaviors trigger stronger reward system activation in women, where as the same neural response is elicited by selfish behavior in men. Behavioral Experiments show that women are more generous than men. Now, researchers at the UZH have been able to demonstrate that female and male brains process prosocial and selfish behavior differently. For women, prosocial behavior triggers a stronger reward signal, while male reward systems respond more strongly to selfish behavior. Behavioral experiments have shown that when women share a sum of money more generously than men. To gain a more in-depth understanding of this behavior, neuroscientists from the Department of Economics looked at the areas of the brain that are active when decisions of this kind are made. They are the first to demonstrate that the brains of men and women respond differently to prosocial and selfish behavior. The striatum, located in the middle of the brain, is responsible for the assessment of reward and is active whenever a decision is made. The findings show: The striatum was more strongly activated in female brains during prosocial decisions than during selfish decisions. By contrast, selfish decisions led to a stronger activation of the reward system in male brains. In the second experiment, the reward system was disrupted by administering medication to the participants. Under these conditions, women behaved more selfishly, while men became more prosocial. The latter result surprised the researchers. As Soutschek explains, “these results demonstrate that the brains of women and men also process generosity differently at the pharmacological level”. The results also have consequences for further brain research, with Soutschek stating that “future studies need to take into account gender differences more seriously”. Women behave more generously than men when they distribute a monetary amount NeuroscienceNews.com image is adapted from the University of Zurich news release. Even if these differences are evident at the biological level, Soutschek warns against assuming that they must be innate or of evolutionary origin. “The reward and learning systems in our brains work in close cooperation. Empirical studies show that girls are rewarded with praise for prosocial behavior, implying that their reward systems learn to expect a reward for helping behavior instead of selfish behavior. With this in mind, the gender differences that we observed in our studies could best be attributed to the different cultural expectations placed on men and women.” This learning account is also supported by findings that indicate significant differences in the sensitivity of the reward system to prosocial and selfish behavior across cultures. Image Source: NeuroscienceNews.com image is adapted from the University of Zurich news release. University of Zurich “Female Brain Reacts More Strongly to Prosocial Behavior Than Male Brain.” NeuroscienceNews. NeuroscienceNews, 9 October 2019. University of Zurich “Female Brain Reacts More Strongly to Prosocial Behavior Than Male Brain.” http://neurosciencenews.com/female-brain-prosocial-behavior-7701/ (accessed October 9, 2019). Women are known to have stronger prosocial preferences than men, but it remains an open question as to how these behavioural differences arise from differences in brain functioning. Here, we provide a neurobiological account for the hypothesized gender difference. 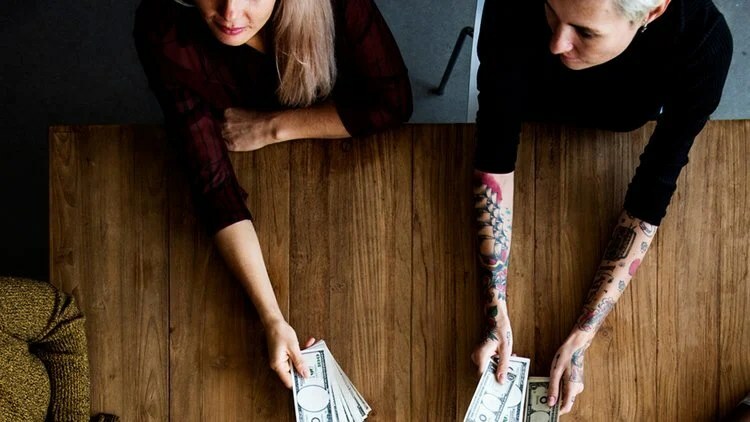 In a pharmacological study and an independent neuroimaging study, we tested the hypothesis that the neural reward system encodes the value of sharing money with others more strongly in women than in men. In the pharmacological study, we reduced receptor type-specific actions of dopamine, a neurotransmitter related to reward processing, which resulted in more selfish decisions in women and more prosocial decisions in men. Converging findings from an independent neuroimaging study revealed gender-related activity in neural reward circuits during prosocial decisions. Thus, the neural reward system appears to be more sensitive to prosocial rewards in women than in men, providing a neurobiological account for why women often behave more prosocially than men.